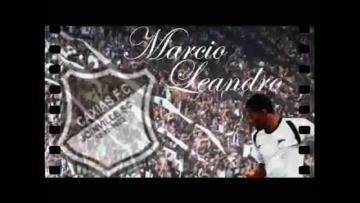 Marcio Leandro Silveira is in talks with Hibernians. The winter transfer window reopened on New Year's Day. The Times of Malta sports section will keep you up-to-date with all the latest transfer gossip and movements throughout the whole month. So make sure you stay with us to follow all the latest developments. 9.30pm That's all for today! Thank you for your support and we invite you in the coming days to follow our transfer blog. #Juventus have completed the sale of #Benatia to #AlDuhail. He will sign a three-year contract worth about €5m per season ✅✍️???????? 9.15pm Martin Caceres has joined Juventus for the third time after his Lazio spell, while Medhi Benatia will sign for Al-Duhail in Qatar. Multiple sources including Sky Sport Italia all give the same details, that Caceres has already signed the contract. He will undergo a medical tomorrow and the announcement should arrive then, but the deal is essentially done. 9pm Everton’s on-loan midfielder Andre Gomes is attracting interest from Serie A duo Lazio and Roma, according to Calciomercato. The Portugal international has impressed while on loan at Goodison Park this season, with many Evertonians keen to sign him from Barcelona on a permanent basis. But Toffees will face competition for his services, with the Serie A duo keen to bring Gomes to the Italian captain. 8.45pm Sunderland's attempts to sign Will Grigg come as youth product Josh Maja edged closer to a move to Bordeaux. The 20-year-old, who is the second top scorer in League One with 14 goals, is on the verge of joining the Ligue 1 club in a move that could rise to £3.5m, Sky Sports News understands. Maja turned down the offer of a new contract at the Stadium of Light two weeks ago, and Sunderland are resigned to losing him. 8.30pm Despite offers from Juventus and most recently Cagliari, it seems Szymon Zurkowski has decided to join Fiorentina. Sportitalia and Sky Sport Italia both give the same details, that Cagliari made a late approach to increase their offer for the Polish midfielder. However, 21-year-old Zurkowski had already made up his mind to join the Viola from Gornik Zabrze. 8.15pm Crystal Palace have enquired into the availability of Everton striker Cenk Tosun, according to Sky sources. The Turkey international joined Everton from Besiktas for £27m last January but has scored only seven goals in 33 appearances. 7.45pm Arsenal are interested in signing Sampdoria goalkeeper Emil Audero as a replacement for the retiring Petr Cech, according to Sky in Italy. The 22-year-old is currently on loan from Juventus, and has featured 21 times for Sampdoria, who are eighth in Serie A, this season. Cech announced earlier this month that he will retire at the end of the season after 15 years in the Premier League. 7.30pm Having failed to coax Papu Gomez from Atalanta, Al-Hilal are reportedly close to a deal for Toronto FC star man Sebastian Giovinco. According to journalist Mootaz Chehade, Al-Hilal are in advanced negotiations with Giovinco’s agent, who is currently in Saudi Arabia. An entry visa has already been granted and an announcement could be imminent. 7.15pm Teenage Sporting CP defender Tiago Djaló has arrived to sign his Milan contract, confirmed Sky Sport Italia. The Portuguese talent is only 18 years old, but already considered a promising figure for his country. His contract with Sporting was due to expire in June, so he was sold to Milan for a relatively low fee. 6.45pm Genoa, Torino, Parma, Bologna and Besiktas are all reported to have approached Inter winger Antonio Candreva after his agent hinted at an exit. According to Tuttosport, the candidates include Genoa, Torino, Bologna and Parma. 5.30pm RB Leipzig are set to offer Timo Werner a lucrative new deal in a bid to keep him at the club, reports Bild. The 22-year-old has entered the final 18 months of his current contract and has been linked with Liverpool, Bayern Munich and Real Madrid. Leipzig, however, hope to fend off that interest by doubling the Germany international’s wages. 5.10pm Talks continue between representatives of West Ham and Celta Vigo over the signing of striker Maxi Gomez. Celta Vigo will not let him go in this window unless his €50m release clause is met in full. 4.50pm Udinese have signed Bologna defender Sebastien De Maio on loan with an obligation to buy. The deal was confirmed in a statement on Udinese’s website, with Di Maio allowed to leave Bologna after making just six appearances this season. The 31-year-old brings a wealth of experience to Friuli, having played 124 times in Serie A with Brescia, Genoa, Fiorentina and most recently the Rossoblu. 4.30pm Crystal Palace manager Roy Hodgson has dismissed reports linking Wilfried Zaha with a transfer to Borussia Dortmund. The Bundesliga leaders want to buy Zaha this summer and Sky Sports News understands initial talks between representatives have taken place. But Hodgson said today: "There has been no dialogue whatsoever between Borussia Dortmund and Crystal Palace. Wilf signed a long-term contract with Crystal Palace. He's very much our player." 4pm Juventus have reportedly agreed personal terms with Martin Caceres and must now negotiate his arrival with Lazio. According to Gianluca Di Marzio, Juve ‘already have an economic agreement’ with Caceres, who had been on his way to Japanese side Vissel Kobe. The Sky Sport Italia journalist explains a deal is getting ever closer and the two sides only need to settle on the terms of his transfer. The Uruguayan played for the Old Lady during the 2009-10 campaign, before returning two years later and winning four Scudetti. 3.40pm Marco Silva has hinted that Everton would consider loaning out forward Yannick Bolasie. The former FLoriana winger cut his loan at Aston Villa short to return to seal a surprise return to Goodison Park. “It is a possibility of course (another loan),” Silva said. “Until now we have had no enquiries. We will do what is the best solution for him and us as a club." 3.20pm Fenerbahce confirm agreement has been reached with Chelsea to sign Victor Moses on an 18-month loan deal. 3pm PSG close to completing deal to sign Chelsea target Leandro Paredes from Zenit St Petersburg. Paredes is due to have medical today. Chelsea were in talks to sign Paredes as a replacement for Cesc Fabregas, but they were not willing to pay £40m for a player who would not be an automatic first-choice starter. 2.45pm Napoli-owned attacker Amato Ciciretti has left Parma to join Serie B side Ascoli on loan for the rest of the season. Ciciretti made just six appearances for Parma and will now help Ascoli on their push for the Serie B playoffs. The 25-year-old began his career at Roma but starred for Benevento, scoring 16 goals and assisting 22 in 80 appearances for the Stregoni. The left-footed right winger earned a free transfer to Napoli last summer but has yet to play a competitive match for the Partenopei. 2.25pm Carlo Ancelotti has confirmed that Allan will not face Milan on Saturday but insisted the Napoli midfielder will not join Paris Saint-Germain this month. “He didn’t train much and had a tough week,” he said at a Press conference. “We’ll keep him here to train and prepare for Tuesday. The only thing I know is that Allan will stay. “He’s an important player for us and he’ll be even more so in this second part of the season. “It wasn’t difficult to manage Allan because everything was very clear. On our part there was no need to sell him. 2pm Southampton and Portugal right-back Cedric Soares has arrived in Italy to complete his transfer to Inter. Cedric was spotted checking into the offices of the Italian National Olympic Committee (CONI) in Milan on Friday morning for his medical. The 27-year-old will then put pen to paper on a loan deal until the end of the season, which includes an €11m option to buy for Inter. “I’m very happy to be here, Forza Inter!” a smiling Cedric told reporters at the end of his medical. 1.35pm Hibernians are in the process of signing two Brazilian players. The Times of Malta can reveal the Premier League joint-leaders are in talks to sign Brazilian defender Marcio Leandro and striker Rafael Tardini. The two Brazilian players impressed coach Stefano Sanderra during the Paolites friendly against FC Zbrojovka Brno, of the Czech Republic, at the National Stadium on Wednesday. It is understood that the Paolites have already agreed personal terms with both players and are now hopeful of acquiring the necessary paper work to register the players before the transfer deadline on Thursday. Romeo Romau with Qormi president Victor Camilleri. 1.15pm Qormi have announced the signing of Brazilian wing back Romeo Romao. The veteran defender was brought over to Malta by Valletta where he helped them to win the Premier League title. This summer, Romao decided to join Mosta but with the Blues he failed to make his mark and he struggled for first team football. 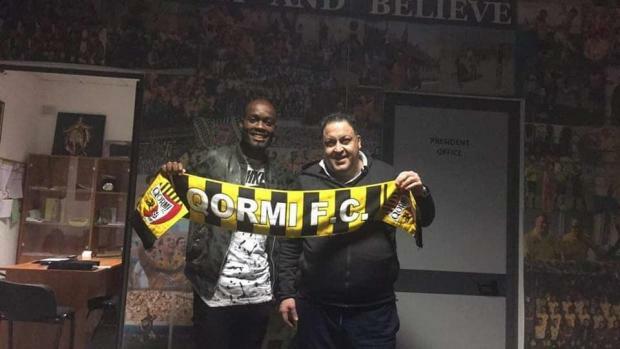 Qormi moved in for the player and an agreement was reached so that Romao could join Mario Muscat's men. Romao is expected to make his debut for Qormi in their next Premier League match against Pieta Hotspurs on February 2. Javier Hernandez has agreed personal terms with Valencia, according to Sky in Italy. 1pm Valencia are interested in signing West Ham striker Javier Hernandez, Marca is reporting. Hernandez has been the subject of an initial £7m bid from the La Liga club, but the Hammers want £12m for the Mexico international. Valencia face competition from Ligue 1 side Monaco for the signature of Hernandez, who has scored five goals in 17 appearances this season. Former #Azzurri coach Marcello #Lippi officially resigned as manager of #China after they lost 3-0 to #Iran in the Asian Cup. 12.45pm Former Italy coach Marcello Lippi has officially stepped down as China coach after their exit from the Asian Cup. Lippi’s contract was due to expire after the tournament in Qatar, but his departure was brought forward by China’s 3-0 defeat to Iran in the quarter-finals on Thursday. “I want to thank everyone,” he said at a press conference. 12.30pm Good morning everyone and welcome to another day of transfer activity. Stay with us to follow all the latest news on our blog. 9.45pm That's it for tonight. Thanks for staying with us and we will be back tomorrow. 9.30pm Floriana have parted ways with midfielder Ivica Guberac, who put pen to paper on a deal with Slovenian side FC Koper. The Slovenian midfielder played only twice for the Greens, with his last game being on October 27, against Pietá Hotspurs. The 30-year-old, who came through Cagliari's ranks, had various spells in different countries before embarking in Malta, including in Slovenia and Cyprus with Aris Limassol. It is understood the Greens will be looking to bring in a replacement in the last few days of the transfer window. All the latest news as Newcastle look set to miss out on Gelson Martins, but close on the signing of Jordan Lukaku. 8.15pm Newcastle are set to lose out in their move for Atletico Madrid's Gelson Martins, with Monaco now favourites to sign the winger on loan. But Lazio full-back Jordan Lukaku is set to have his Newcastle medical in the next 24 hours. If they register him by noon tomorrow he’ll be able to face Watford in the FA Cup on Saturday. 7.55pm Former Arsenal and France striker Thierry Henry has been suspended from his role as coach of Monaco with his team second bottom of Ligue 1, the Ligue 1 club announced on Thursday. "Henry has been suspended until a definitive decision is made," the club said in a statement, adding that assistant coach Franck Passi would oversee training on Friday ahead of the weekend's clash with fellow strugglers Dijon. 7.35pm Frosinone have officially signed Milan defender Stefan Simic on loan for the rest of the season. The deal was confirmed by both clubs on Thursday afternoon and is a dry loan, with no option to buy for Frosinone. Despite his Croatian surname, the 24-year-old is a Czech Republic international and previously spent time out on loan at Varese, Mouscron and Crotone. However, he has played just once for Milan’s first team – his sole appearance coming against Luxembourgish minnows Dudelange in this season’s Europa League. 7.26pm Arsenal are interested in signing Sampdoria goalkeeper Emil Audero as a replacement for the retiring Petr Cech, according to Sky in Italy. 7.10pm Crystal Palace have signed Brazilian goalkeeper Lucas Perri on loan from Sao Paulo until the end of the season. The Premier League side have an option to buy the 21-year-old once the loan spell ends. BREAKING: @OfficialBHAFC sign midfielder Alexis Mac Allister from @AAAJoficial on a four-and-a-half-year deal. 6.55pm Brighton have signed midfielder Alexis Mac Allister from Argentinos Juniors. The 20-year-old has signed a four-and-a-half-year deal and will be loaned back to the Argentinian club for the rest of the season. "Alexis is an exciting young player that we have brought in for the future," manager Chris Hughton told the club website. 6.40pm Marco Silva says Everton have received no approach for midfielder Idrissa Gueye. The Senegal international has been linked with a move to Paris Saint-Germain, but Silva said today: "This is news to me. No club has made an official offer. 6.20pm Southampton and Portugal right-back Cedric Soares is reportedly close to joining Inter. According to Gianluca Di Marzio’s website, talks have progressed quickly since Wednesday and are proving ‘increasingly positive’. Consequently, Inter should be able to complete a loan with an option to buy for Soares ‘soon’. The 27-year-old has made 22 appearances for Southampton this season, but a calf injury saw him lose his place in the team to teenager Yan Valery. 6pm Genoa are reportedly meeting Marko Pjaca’s agent this afternoon to convince the Fiorentina winger into joining them. According to Gianluca Di Marzio’s website, Genoa are ready to replace Krzysztof Piatek with two players, one of whom is Antonio Sanabria. The other is Pjaca, who is free to end his loan spell with Fiorentina from Juventus and join the Grifone. 5.40pm Paris Saint-Germain have reportedly agreed a €47m deal to sign Zenit St Petersburg midfielder Leandro Paredes. According to L’Equipe, Paredes will undergo a medical with PSG before putting pen to paper on a four-and-a-half-year contract. The newspaper adds the French giants are looking to bring in two midfielders this month in light of Marco Verratti’s recent injury. Allan is among the others they have been heavily linked with, although it remains to be seen whether they can get around Financial Fair Play. Guernsey Police confirm they have ended the search for Cardiff striker Emiliano Sala and pilot David Ibbotson. 5pm The search and rescue operation to find the missing plane carrying Cardiff striker Emiliano Sala and pilot David Ibbotson has ended, say Guernsey Police. The 28-year-old was on board a light aircraft which disappeared en route from Nantes to Wales on Monday evening. Harbour master captain David Barker says they have been "unable to find any trace of the aircraft, the pilot or the passenger". 4.40pm Sassuolo are reportedly pushing to sign Benfica striker and former Frosinone target Facundo Ferreyra. Frosinone were said to be closing in on a deal for Ferreyra, but Benfica rejected the Canarini’s offer. Consequently, Sportitalia’s Alfredo Pedulla claims Sassuolo have gone back in for the Argentine, who was always their ‘first choice’ to replace Kevin-Prince Boateng. Furthermore, Pedulla is expecting ‘developments in the coming hours’ after an injury to Sampdoria’s Gianluca Caprari prompted the Neroverdi to look elsewhere. 4.20pm Atlanta United have bolstered their ranks with the signing of playmaker Gonzalo “Pity” Martinez from River Plate. Martinez was recently crowned the 2018 South American Footballer of the Year. 3.55pm Chris Hughton confirms right back Ezequiel Schelotto is likely to leave Brighton on loan this month. “We are working hard on that one. It is one that is agreeable with both parties," said Hughton. "He has been very good for us and trained very well, but of course his opportunities have been limited this season. We are hopeful something can happen that way." ???? BREAKING: Newcastle have agreed a deal with Lazio to sign defender Jordan Lukaku on loan. 3.20pm Newcastle agree deal with Lazio to sign defender Jordan Lukaku on loan. Lukaku is the Tyneside's first signing during the January transfer window. Piatek was officially unveiled by Milan on Thursday afternoon, having completed his €35m transfer from Genoa, and the striker is determined to make a success of his time at San Siro. “For me it’s another step forward in my career,” he began. “I hope I can play well with Cutrone. We want to score a lot of goals together and I hope things go well for us. I can play with another striker next to me. 2.30pm Manuel Pellegrini does not expect Andy Carroll to leave West Ham this summer. The striker has just six months remaining on his contract,. "They are rumours. There are a lot of different rumours for different ways," said Pellegrini. "I don’t think that Andy Carroll will leave the club until the end of the season at least because he has a contract here." Nikolay Dyulgerov is set to join Ħamrun Spartans. 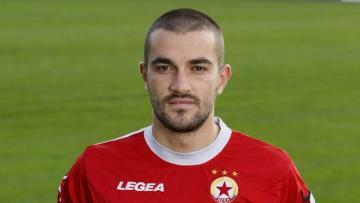 2pm Ħamrun Spartans have reached an agreement to sign Bulgarian midfielder Nikolay Djulgerov. The 30-year-old is expected to arrive in Malta in the next few hours and join the club until the end of the season. Djulgerov was on the books of Macedonian side Rabotnicki and has played with some of the best team in Bulgaria, namely Slavia Sofia, CSKA Sofia and Lokomotiv Plovdiv. The Spartans are hopeful of having the player available for Sunday's Trophy match against Birkirkara. 1.50pm Inter are considering to make an approach for Leicester City's Adrien Silva, according to SkySports Italia. Milan are one of a number of Italian clubs interested in the midfielder, though we understand Leicester are yet to receive any concrete offers. Silva has played fewer than 100 minutes in the Premier League for Leicester this season. 1.35pm Genoa are on the verge of signing PEC Zwolle right-back Kingsley Ehizibue after he passed a medical. Calciomercato.com reports Genoa will pay €2-3m for Ehizibue, who took medical tests in the area on Thursday morning. The website adds the Grifone have beaten SPAL and city rivals Sampdoria to the former Netherlands Under-21 international. PSG are reportedly very close to agreeing a €100m deal with Napoli for Allan. 1.20pm Paris Saint-Germain are reportedly ‘very close’ to agreeing a deal for Napoli midfielder Allan. According to TV Luna’s Carlo Alvino, who broke news of Carlo Ancelotti’s appointment by Napoli, the two clubs have taken ‘a further step forward’ in negotiations and ‘reached an economic agreement of over €100m’. Radio CRC, meanwhile, speaks of a meeting in Doha between intermediaries, sponsors and groups linked to Qatar Sports Investments between December and January. The meeting would have also given scope to Qatar Airways becoming the Partenopei’s shirt sponsor or even their main sponsor, as well as property holding companies with ties to QSI investing in the club. 1pm Middlesbrough have signed former Chelsea midfielder John Obi Mikel. Boro boss Tony Pulis said: "I'm pleased to get him in. He is a man with a lot of experience and quality. "He has a winning mentality and he wants to be here be a part of what we are looking to achieve." 12.30pm Brescia president Massimo Cellino reveals Roma and Liverpool have both asked him about Italy starlet Sandro Tonali. Sportitalia reported on Wednesday that Roma were the hot favourites to sign the €28m-rated Tonali but while Celino confirmed the Giallorossi’s interest, he warned they could face competition from Liverpool. “Yes, Roma have asked me about Tonali,” the former Cagliari and Leeds United owner told Corriere dello Sport. “I’ve talked about him to Roma director Baldissoni several times, but I want to keep the lad as long as possible. 12.05pm Giovanni van Bronckhorst is to step down as Feyenoord head coach at the end of the season. Van Bronckhorst has managed the Eredivisie club for three-and-a-half seasons and won the league title in the 2016/17 season. "Gio has done a great job here and is still doing well," Technical director Martin van Geel told the club's official website. "We were therefore happy to sit down with him next month, as planned, for the first time to talk about a possible contract extension." Interviewed by Tuttosport ???? Milan #Skriniar spoke about the renewal issue with the #Inter revealing words like honey: ️??? ?️ "It will come at the right time, the fans can rest assured. I stay here because I want to win with the Nerazzurri". ???? 11.45am Milan Skriniar confirms he is close to signing a new contract with Inter and believes Diego Godin ‘can help us become much stronger’. Tuttosport reported last week that Skriniar had reached an agreement in principle to extend his contract with Inter until 2023, while the Nerazzurri are thought to have a deal in place for the Atletico Madrid captain this summer. “We’re close to an agreement, everyone knows I want to stay here,” the Slovakian defender told the newspaper. “It’d be nice to win a trophy here: we’ve gone without one for too long and everyone wants one." 11.30am Juventus would consider selling Medhi Benatia for €10m, with reports of offers from Al Duhail, Al-Ittihad and Fulham. On Thursday, Sky Sport Italia and Sportitalia both suggest they’d be prepared to reconsider for €10m. 11.15am Lazio outcast Martin Caceres is continuing to stall his Bologna move and could now end up in Japan with Vissel Kobe. The 31-year-old Uruguay international is not part of Lazio’s plans and has several options to choose from. According to Sky Sport Italia, he has again failed to agree terms with Bologna. A move abroad now seems most likely with Japanese club Vissel Kobe emerging as the favourites. This side already brought in Andres Iniesta, David Villa and Lukas Podolski. West Ham are interested in Andrea Belotti of Torino. A £50m deal would be on the cards. 11am West Ham United are reportedly ‘serious’ about bringing in Torino striker Andrea Belotti but must pay ‘at least €45m’. According to Tuttosport, West Ham have turned their attentions to Belotti after failing to do a deal for Atalanta’s Duvan Zapata. The newspaper adds that while Toro have yet to receive an offer, talks are ongoing and the Hammers could make a bid soon. The Premier League club are in the market for a new forward as Marko Arnautovic seems destined for China. 10.45am Wales boss Ryan Giggs believes Arsenal midfielder Aaron Ramsey will improve by ‘going to a top-class football club’ in Juventus. Ramsey is widely expected to become a Juve player this summer after reportedly reaching a pre-contractual agreement with the Bianconeri, who in turn are understood to be looking at bringing him in sooner. “I hope so,” Giggs told Sky Sports when asked whether the move would benefit his No 10. “You’ve seen the effect it’s had on Gareth Bale. He’s going to a top-class football club, one of the best in the world. That will improve you as a player." 10.30am French starlet Leroy Abanda has thanked Monaco ‘for everything’ ahead of his proposed switch to Milan. Abanda wrote the message on his Instagram story with a loveheart, suggesting a move to Milan was imminent. Calciomercato.com reports the 18-year-old will sign a contract with the Rossoneri until 2023, although it is not clear whether he wil join now or in the summer. The France U-17 international impressed in the UEFA Youth League, contributing two goals and three assists in 10 games for the principality side. ??? ?”I think the club's making progress but I leave that to the right people to do that. ??? ?I don't know really how far we are away from it, but hopefully we're going to have some good news in the coming weeks." 10.15am Ole Gunnar Solskjaer says Manchester United are "making progress" with contract extensions for David De Gea and Anthony Martal. He said: "I think the club is making progress, yeah, but I leave that to the right people to do that. "I don’t really know how far away from it [we are] but hopefully we can have some good news in the coming weeks." 10.05am Inter are in advanced talks to sign Cedric Soares from Southampton, according to SkySports Italia. The 27-year-old Portugal international has played 18 Premier League games for the Saints this season but suffered a calf strain in December which ruled him out for most of the month. The right-back signed for Southampton in 2015 and has made a total of 104 top-flight appearances for the club. 10am Good morning everyone and welcome to another day of transfer activity. Stay with us to follow all the latest transfer new. 9.00pm That's it for tonight. Thanks for staying with us and we will be back tomorrow. 8.30pm Multiple sources are confident Omar El Kaddouri will be at Parma for his medical on Monday, after playing one last game for PAOK. The 28-year-old has been pushing hard for this return to Italy, where he already played for Brescia, Sud Tirol, Napoli, Torino and Empoli. He had been in Greece since the summer of 2017 and his contract runs to June 2021, but the Morocco international was determined to come back to Serie A. 8.00pm There are conflicting reports on Paris Saint-Germain’s interest in Napoli midfielder Allan, as it seems they are signing Leandro Paredes from Zenit instead. According to TV Luna, PSG have made an offer worth €100m for Brazilian Allan, but Napoli President Aurelio De Laurentiis will not budge for less than €120m. However, this evening Paredes left the Zenit hotel at their winter training camp in Doha and headed to the airport.